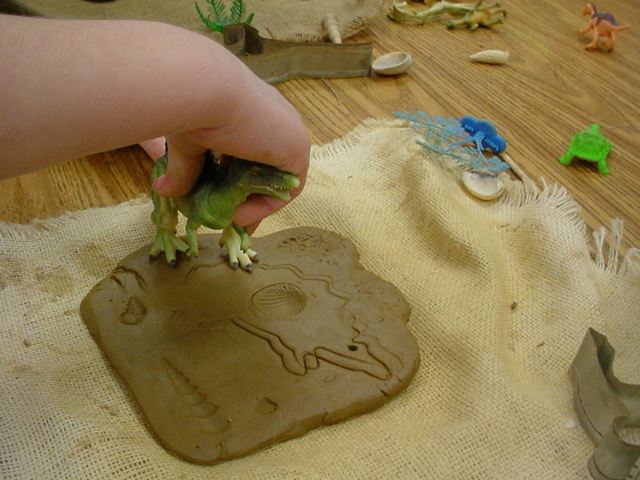 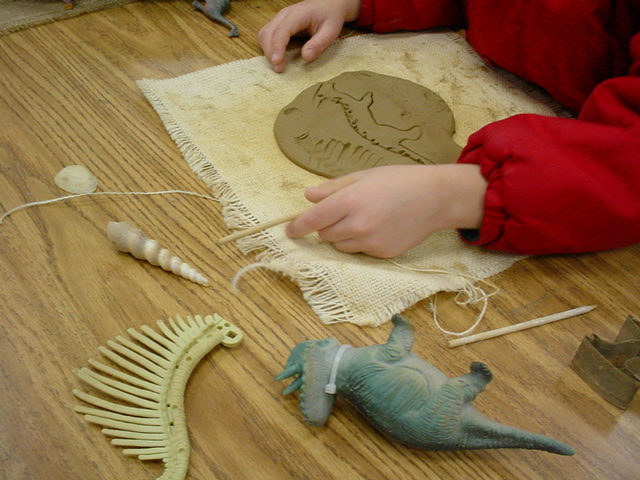 Kindergarteners learned how to roll a slab of clay and create surface textures, all while learning how fossils are formed in nature. 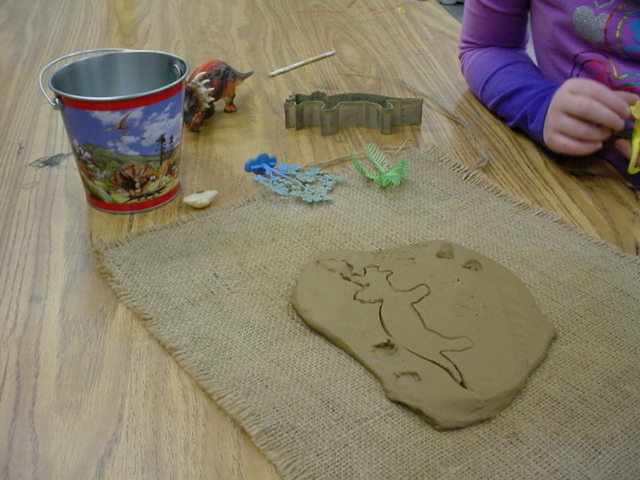 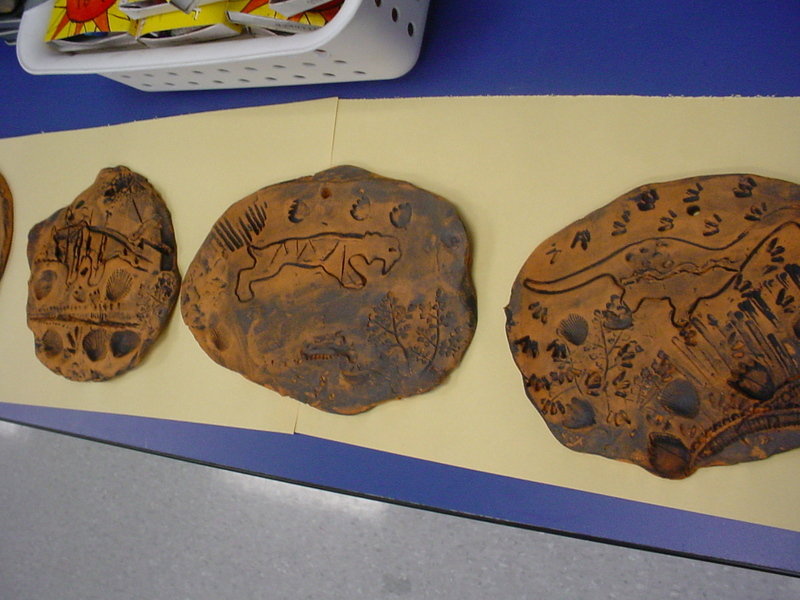 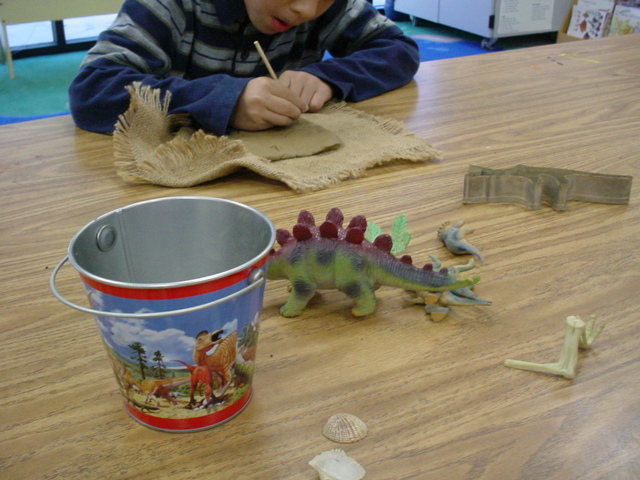 We pressed a variety of objects into our clay "rock" - dinosaur tracks, shells, plants - then after they are fired in the kiln, we brush over the entire surface with "mud" (paint) and wash away the excess, the way a scientist would clean a fossil. 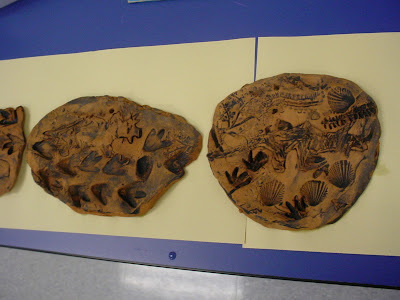 This technique leaves the dark paint only in the textured spaces, making them look more authentically aged. 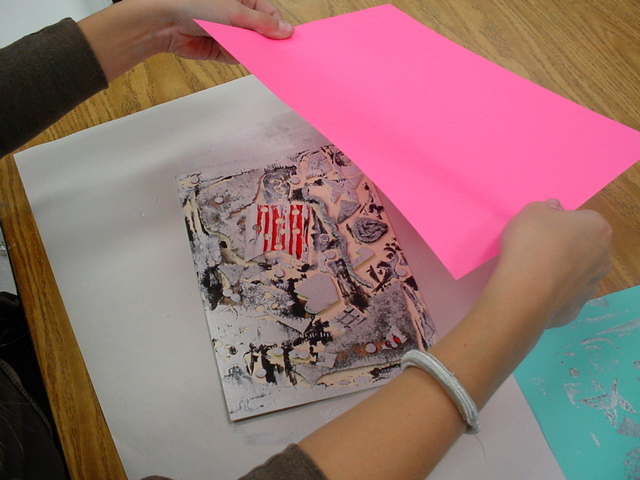 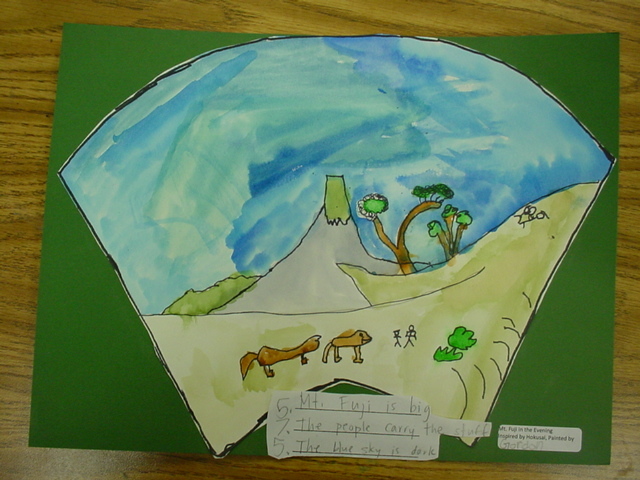 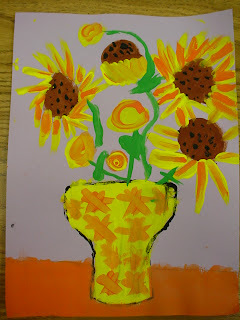 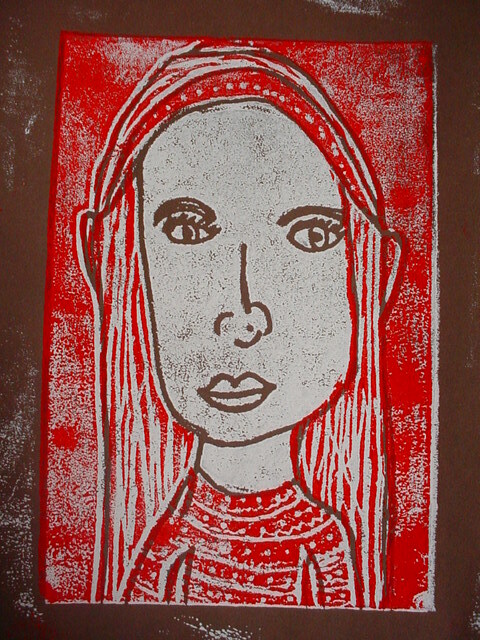 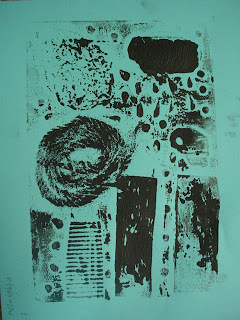 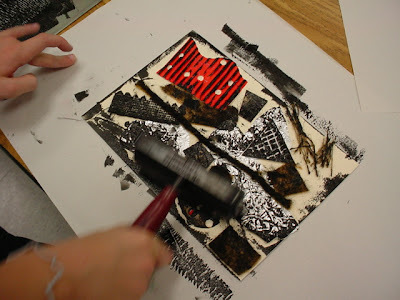 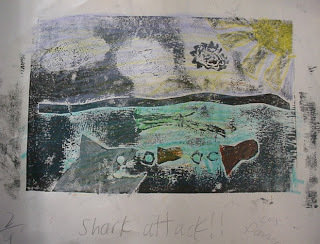 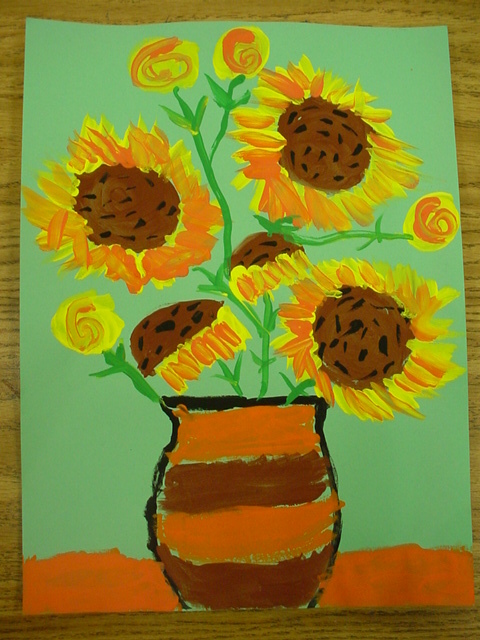 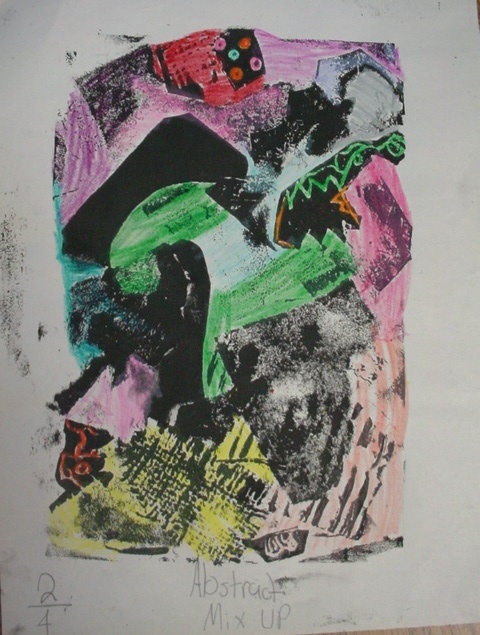 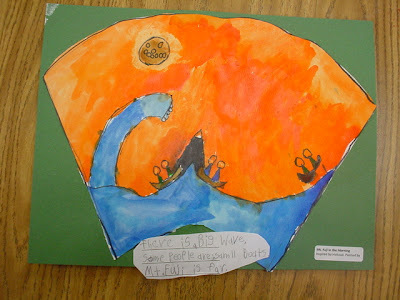 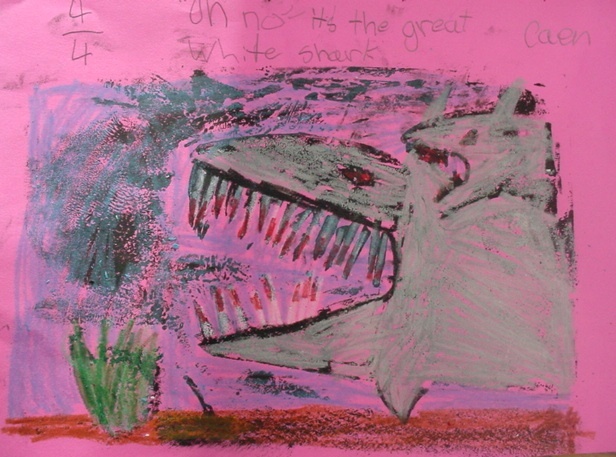 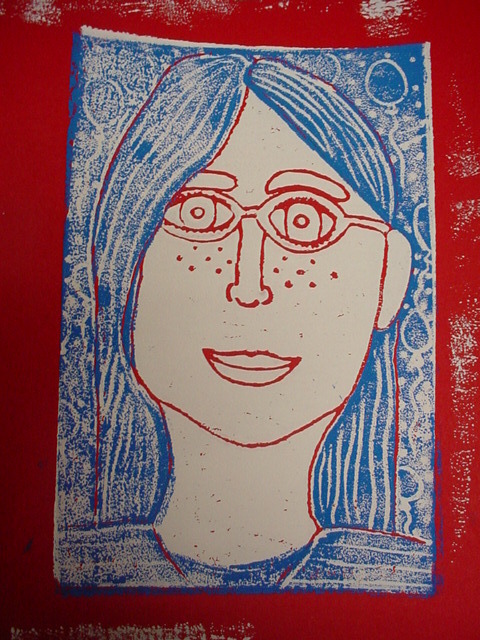 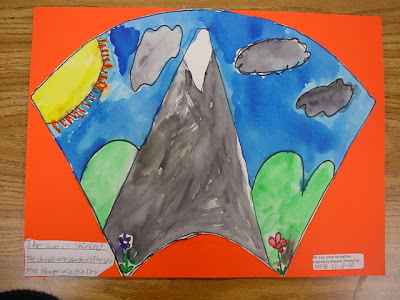 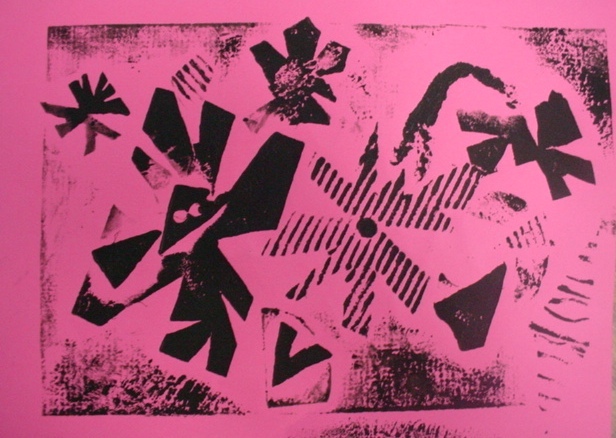 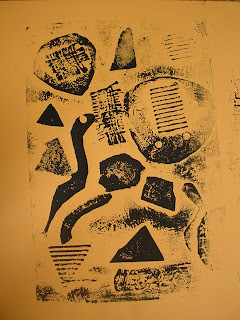 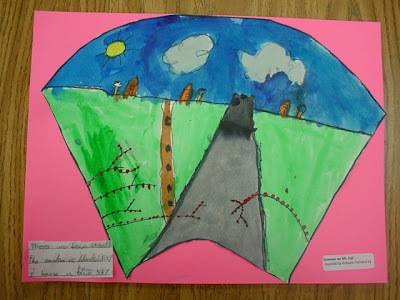 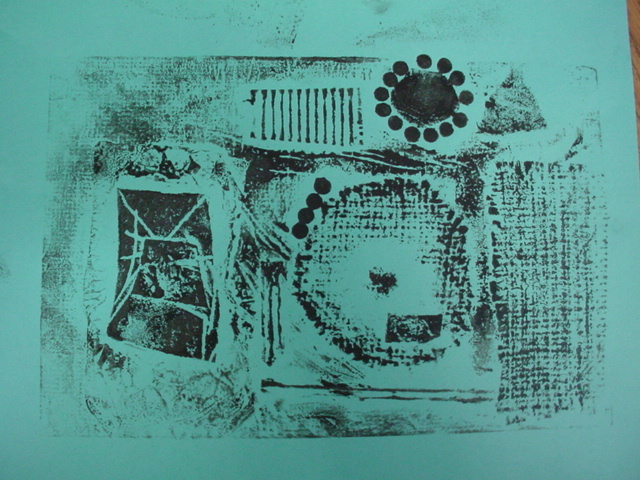 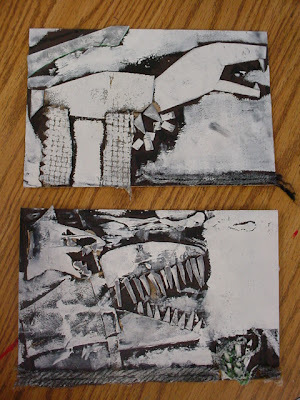 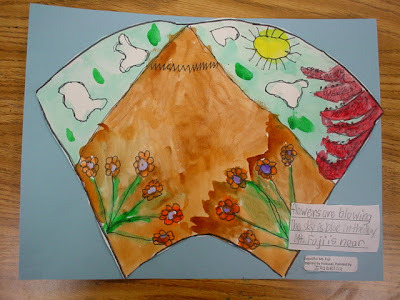 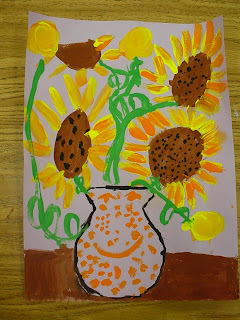 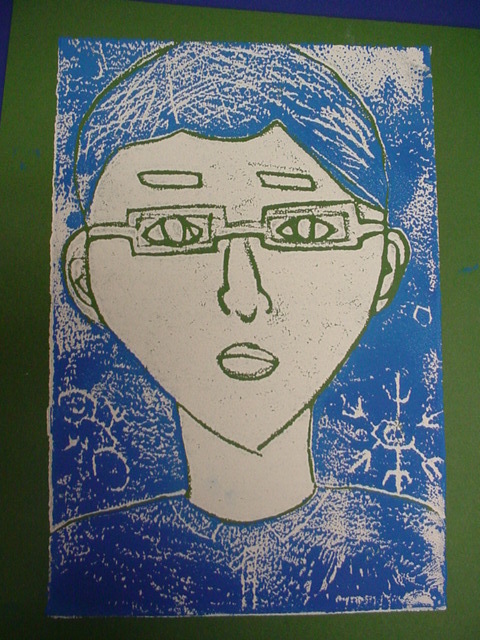 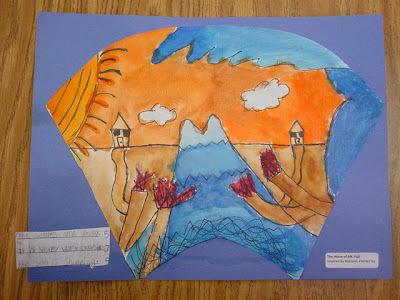 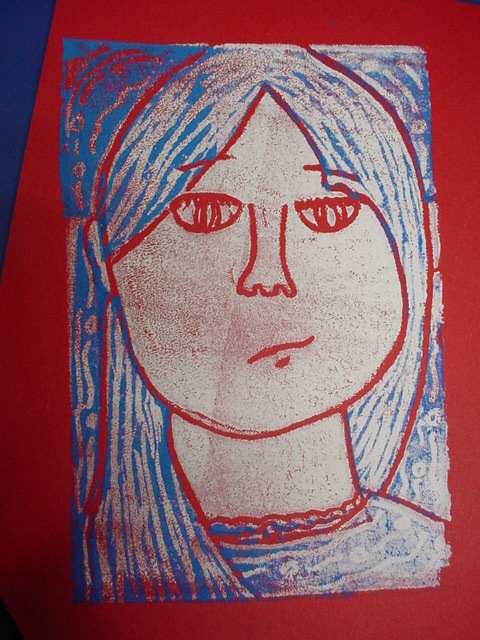 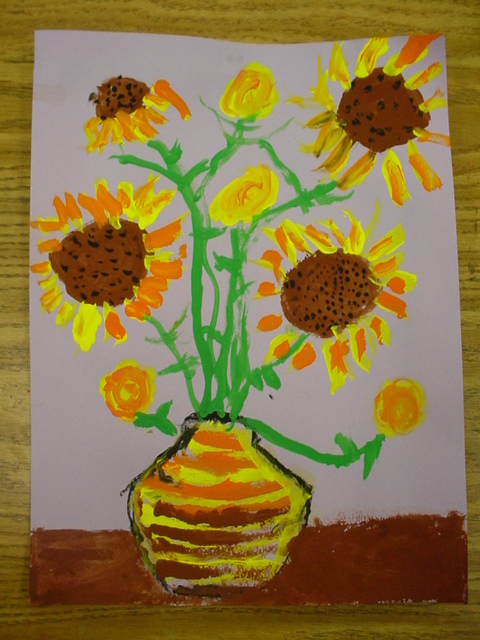 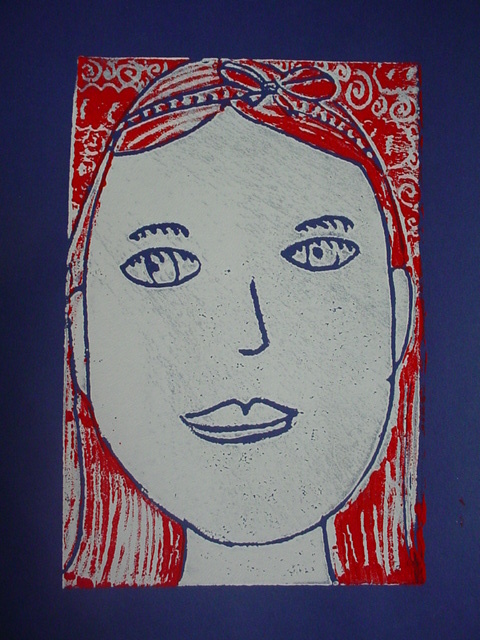 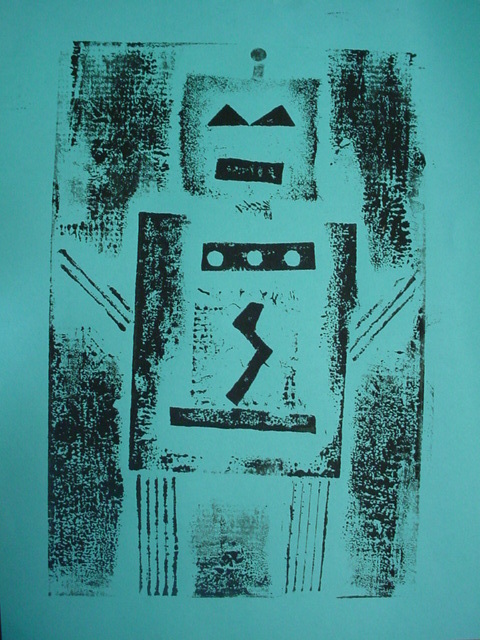 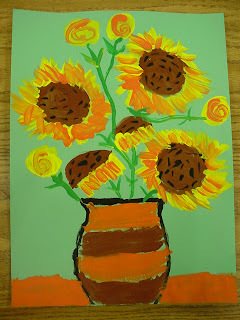 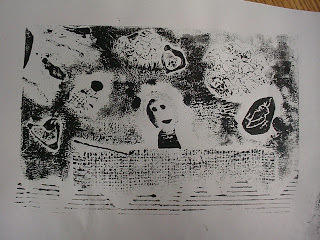 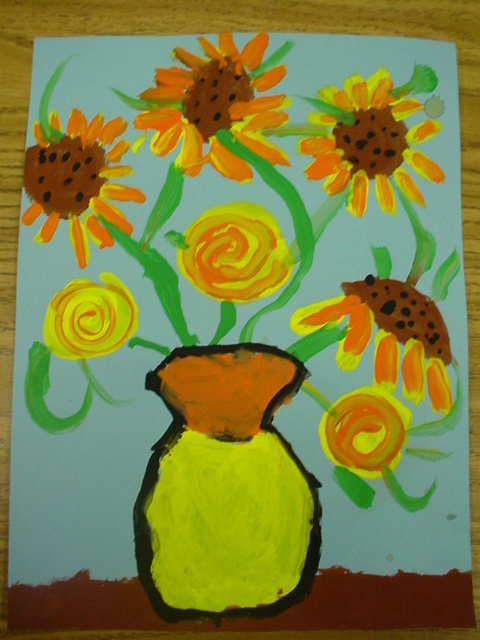 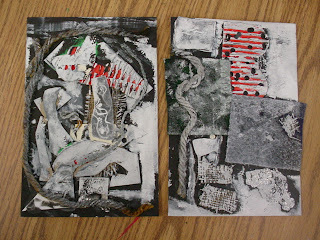 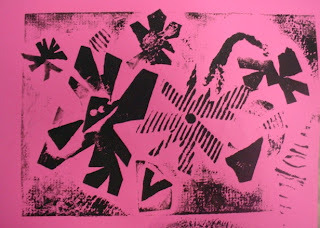 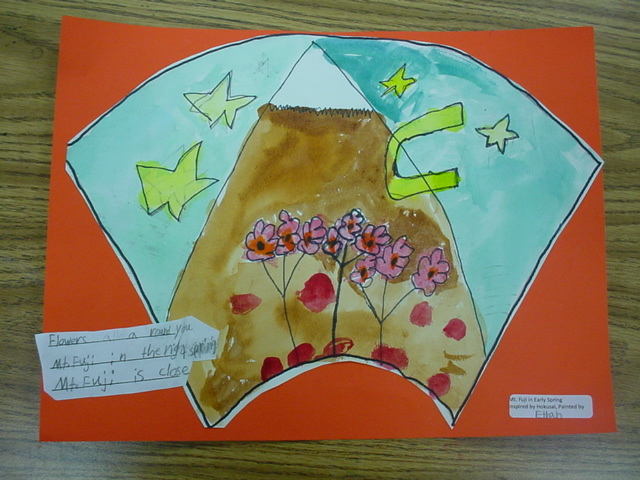 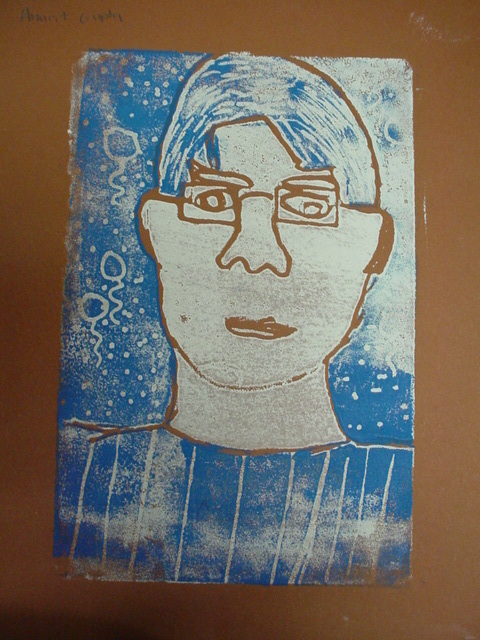 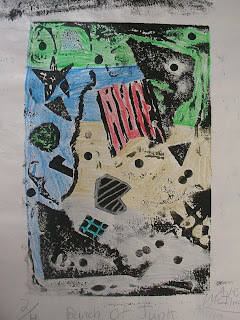 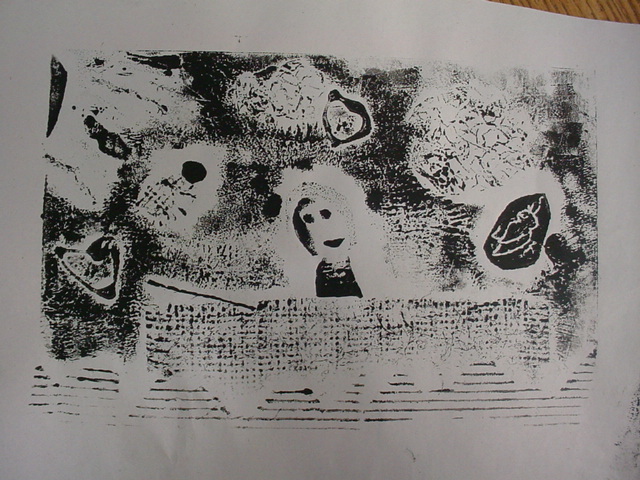 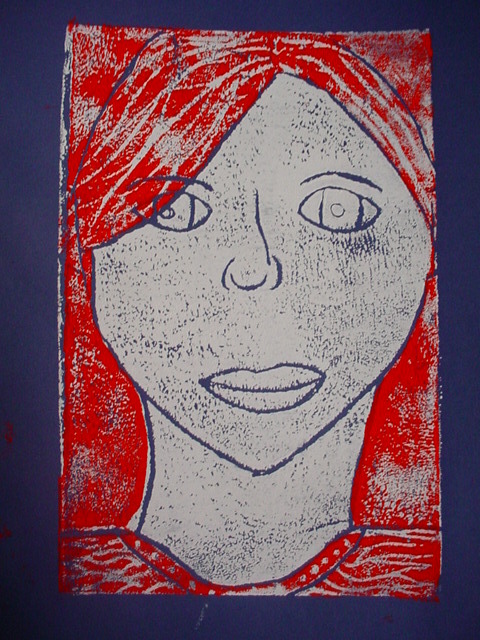 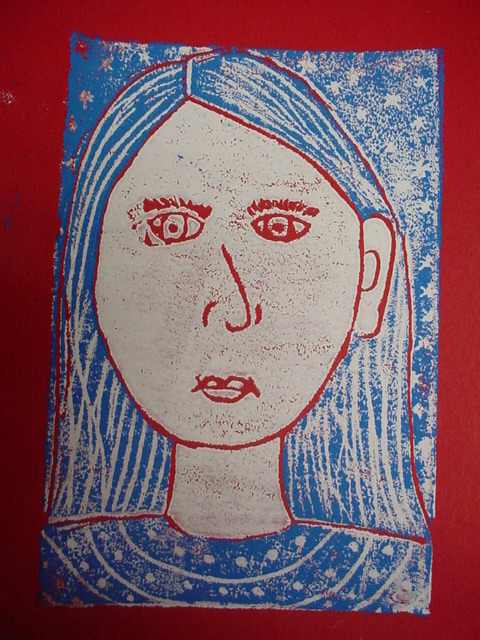 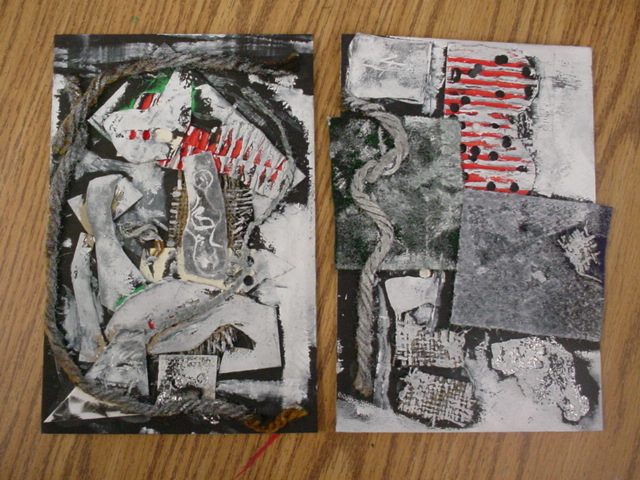 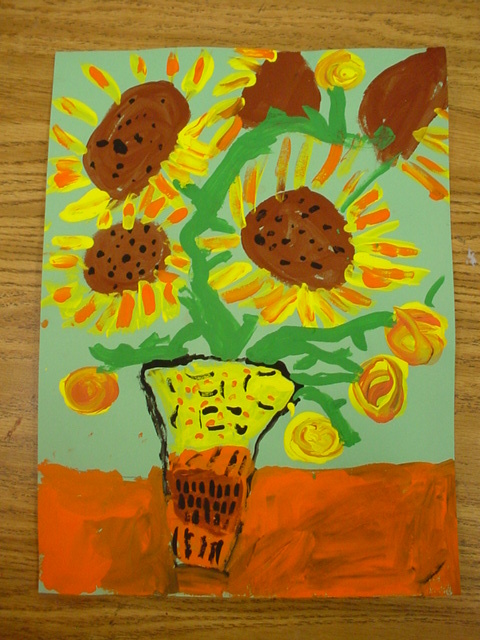 Dolvin first graders used Van Gogh's paintings to learn the difference between portraits, landscapes, and still lifes. Our symmetrical vases overlap the table, creating space. The flowers are in different stages of maturity and are seen from different points of view. 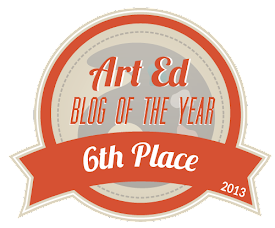 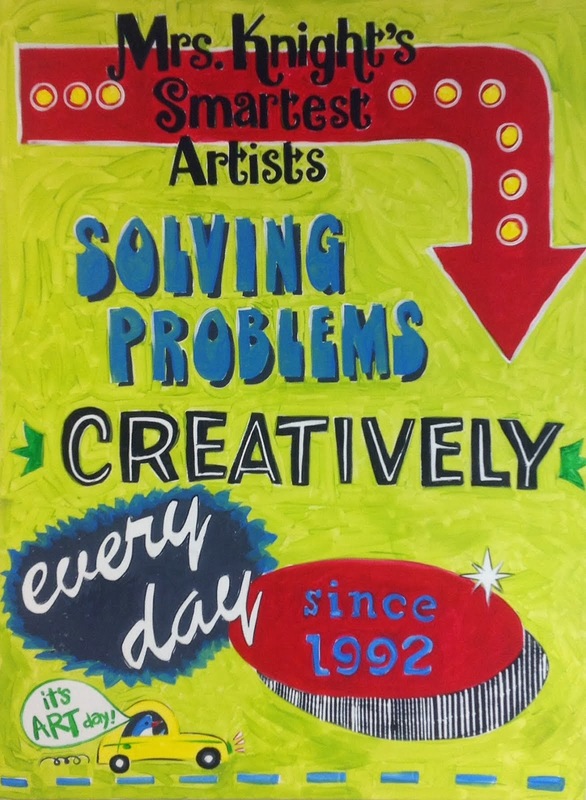 I know many moms who will be glad to get this one in a frame when our portfolios go home! Dolvin second graders have beautifully completed project 1 of our Japanese art unit. 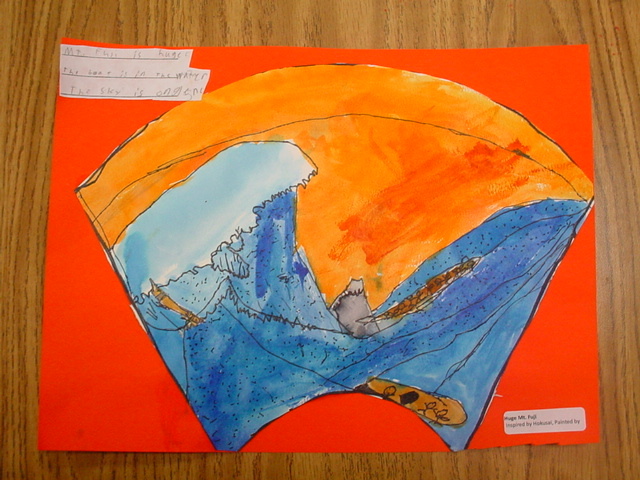 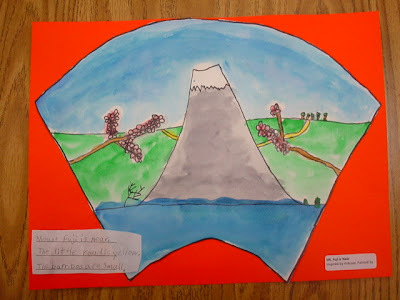 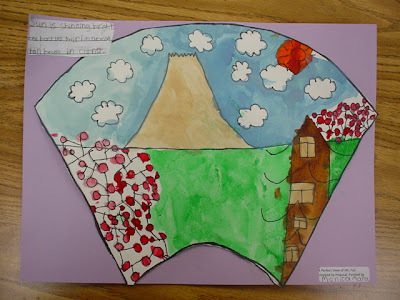 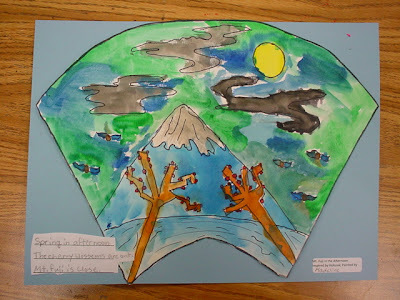 We studied "the man who painted a mountain," Katsushika Hokusai. Orphaned as a young boy, Hokusai grew into an artist who fulfilled his childhood dream of creating many views of the "magic mountain," which he could see from his tiny childhood village. 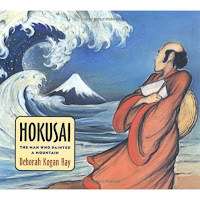 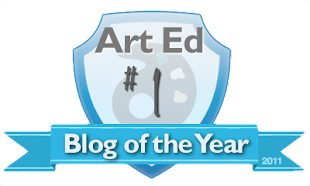 After studying Hokusai's art as well as photos of Mt. 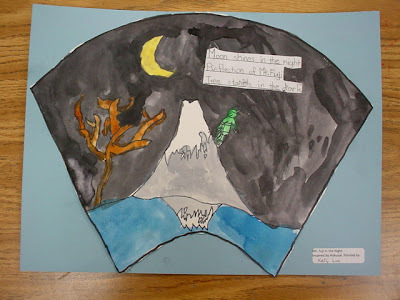 Fuji, students created a landscape setting showing the mountain in a particular season or time of day, with the mountain near or far. We finished off the project with a traditional Japanese haiku. 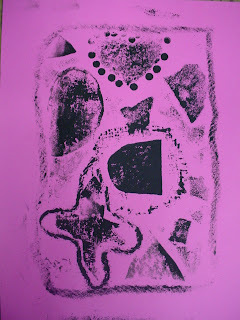 This is one of my very favorite projects. 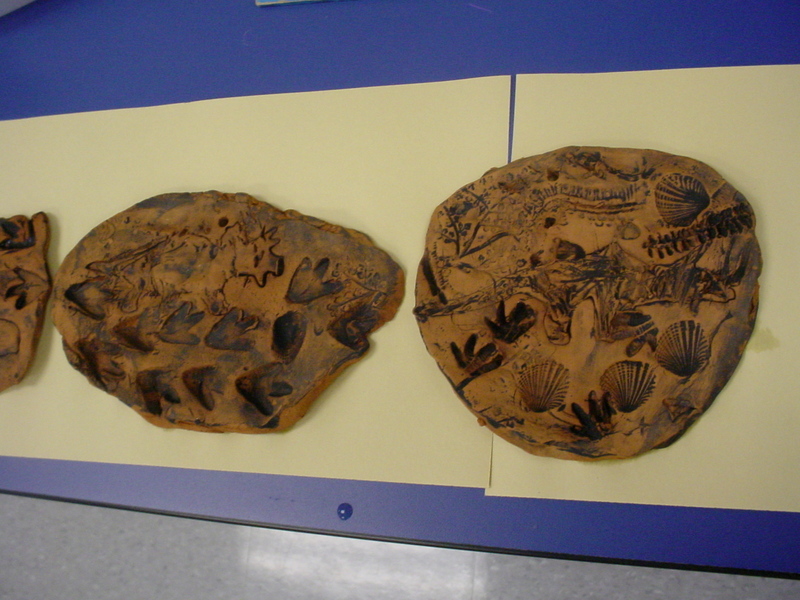 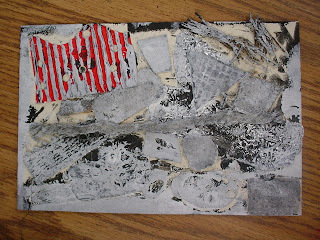 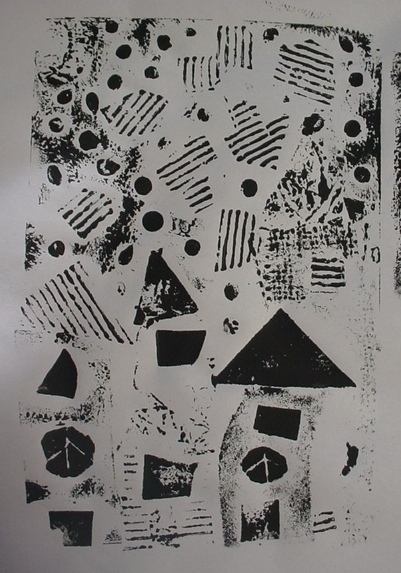 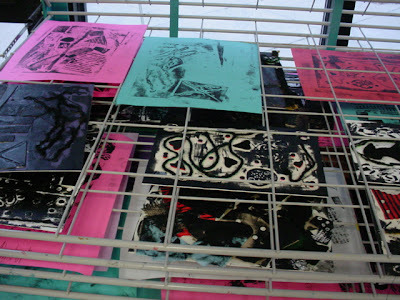 some of the used plates are also works of art!